“Stop thanking me,” says Brandon Krigbaum. The tall, bearded former wildland firefighter has been picking up and discarding loose needles in Eureka for a month and a half, and has gotten used to congratulatory messages on social media and his voicemail. At the Oct. 17 Eureka City Council meeting, Councilmember Kim Bergel lauded his volunteerism. But that’s not what Krigbaum wants. 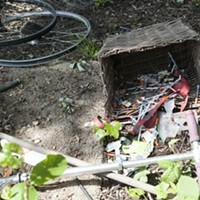 Krigbaum, who moved to Humboldt from Placerville less than a year ago, says he began picking up loose needles because he was “frustrated.” An outdoors enthusiast who once volunteered with a needle exchange program in San Francisco, he got fed up with the number of needles in Humboldt’s open spaces and the apathy he saw on social media around finding solutions. He underscores that there’s nothing difficult or extraordinary about what he does. He wears leather shoes, thick pants and surgical gloves when he works. He just put in an online order for sharps containers so he can distribute them to some local businesses (the plastic containers cost a few dollars each) but they’re also available for free from EPD or the Humboldt Area Center for Harm Reduction. Disposal at the dump is free. He added that there seems to be more enthusiasm for cleanups since he started a Facebook group to spread the word, Needle Clean-Up of Humboldt County. “It’s really gotten the ball rolling,” he says. 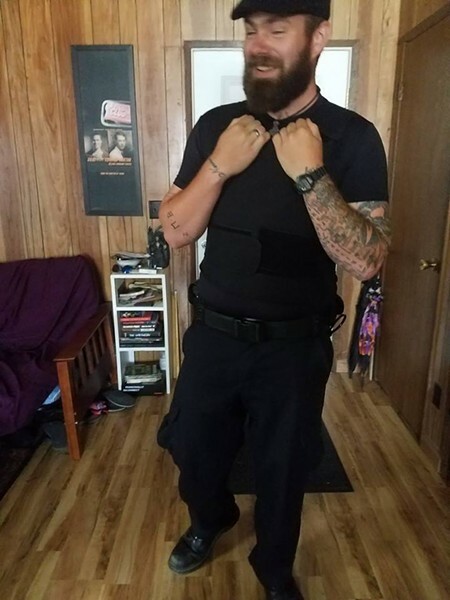 Krigbaum works nights, and says he used to wake up to four to five voicemail messages and multiple tags on Facebooks alerting him to loose needles. His life has been a little quieter lately, with more people following his example. 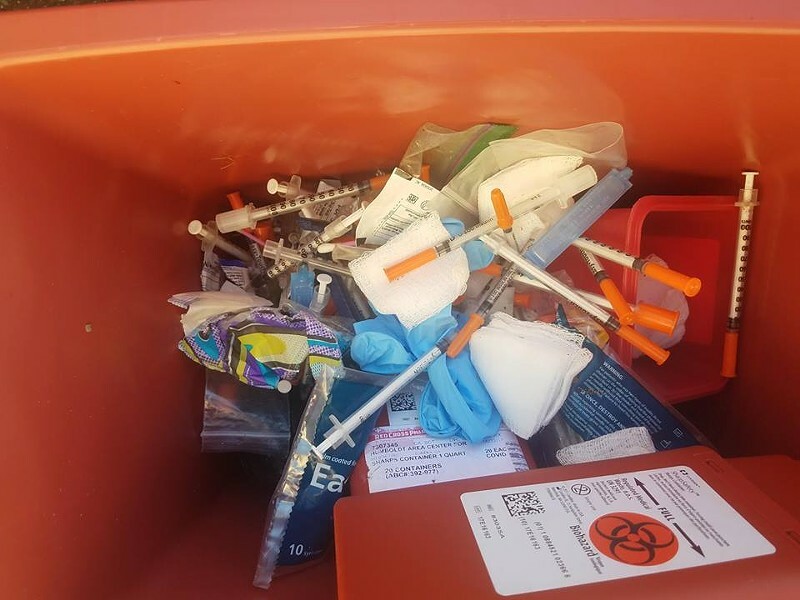 “If we all took a care of a little section this place would be spotless,” he says, adding that the focus on needle exchange programs as being to blame for more sharps is misplaced. There might be more needles on the ground but, thanks to harm reduction groups, the chances of those needles being free of blood borne diseases is much improved. A haul from Krigbaum's work. Krigbaum was once a young punk rock kid, riding the rails and “living out of a backpack.” He earned his way around the U.S. doing carpentry in Michigan, roofing in Oregon, picking peaches in Yuba City. He says his 20-year old self would laugh at his current incarnation but everything he does is in service to the life he’s now trying to build in the place he chose to call home.